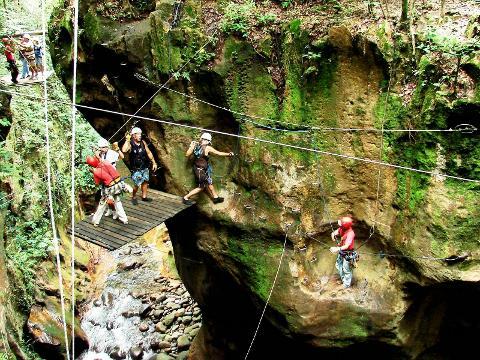 Start the day off with your choice of ziplining, rapelling, or hanging bridges – 3 unique and fun activities that allow you to get up-close and personal with the Costa Rican jungle! 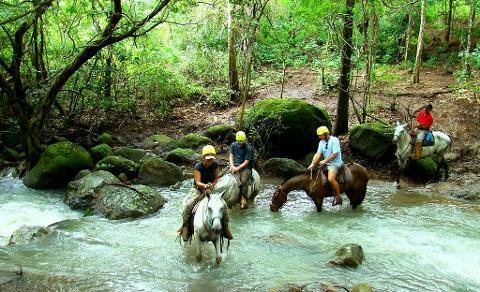 Next, take a horseback ride on well-maintained paths that wind their way through the dry forest. 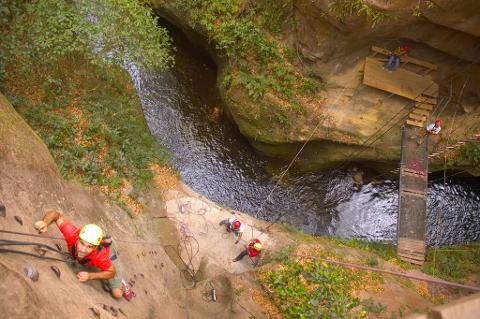 You will get to see different types of tropical vegetation and birds with gorgeous views of the picturesque landscape. 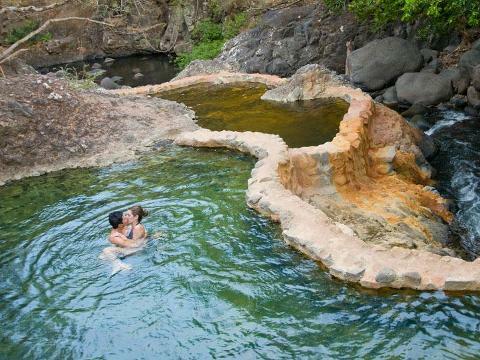 After these exciting adventures, relax and rejuvenate in the natural hot springs with water that has been heated by the activity of the Rincon de la Vieja Volcano. You will also have the opportunity to give yourself a volcanic mud bath. Cover your body with this mineral rich, therapeutic mud, let it dry, and see how nice your skin feels! There will be a wonderful lunch waiting for you when you are finished in the hot springs, but take your time and enjoy being pampered! 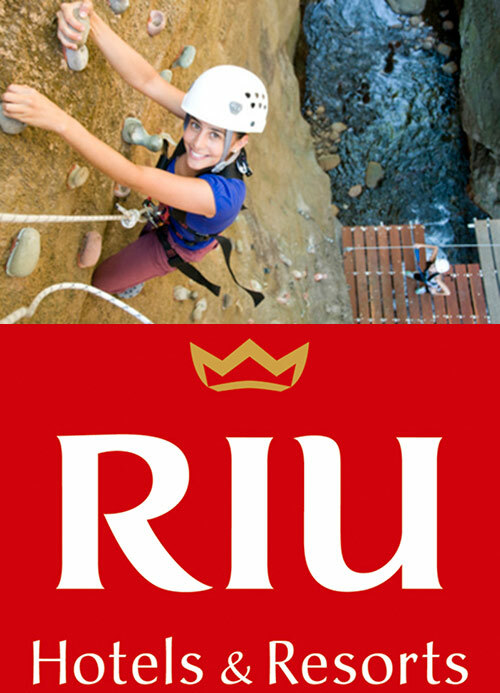 This Tour include: Directly transportation from RIU Guanacaste and RIU Palace, Lunch, Zipplining, Rapelling, horseback Ride, professional Tour Guide.